Organised by Assessment Tomorrow Ltd, this event is now in its 17th year. e-Assessment is becoming the norm in many areas of assessment from the workplace to class-room, from recruitment, to formative assessment to high stakes, summative, certification. e-Assessment is itself becoming an agent of change in how we deliver learning and measure and record achievement. At the same time e-Assessment is not stationary and indeed constantly evolving. The conference looks at e-Assessment from both views – as an agent of change, that is itself progressing and developing. Day One, Wednesday 10th April 2019 will focus on the changing and developing nature of e-Assessment. Day Two, Thursday 11th April 2019 will focus how e-Assessment is underpinning a world of evolving assessment, learning and training. 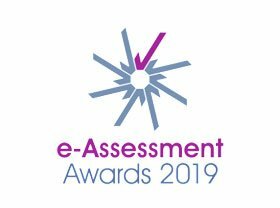 The third International e-Assessment Awards Gala Dinner, organised by the e-Assessment Association, will be held in the nearby DoubleTree by Hilton, Tower of London on the evening of Day One of the conference. For more information on the Conference and Exhibition, please click here to go to their website.